Since its arrival on the Irish market in 2012 the Mazda CX-5 has won many awards and become a firm favourite based on its unique KODO design, driving dynamics and fuel efficiency. Having successfully redefined expectations of what a compact SUV should be, Mazda are looking to continue to edge further into the premium SUV segment with the introduction of their Platinum Plus specification, previously only available on their flagship Mazda6 model. The Platinum Plus option sees the introduction of luxurious styling features such Nappa Leather seats, decorative wooden panels, interior LED lighting, rear heated seats, front ventilated seats and an7” Digital meter set. 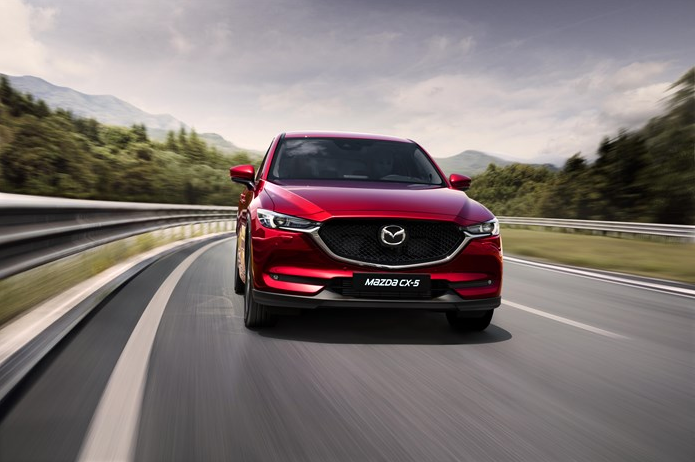 Starting from €29,495 and with fuel consumption as low as 5.7/100km, the 2019 Mazda CX-5 now also offers drivers connectivity at its best with Apple Car Play and Android Auto as standard from Executive SE model and up. From the Stunning Kodo designed exterior to the luxurious human-centric interior, every piece of the 2019 Mazda CX-5 is designed and carefully crafted to offer both driver and passengers the highest comfort and safety possible. The latest entries in the i-Activesense range of the safety technologies, including Mazda Radar Cruise Control, Blind Spot Monitoring, projected Active Driving Display and Driver Attention Alert, are all conveniently providing protection while you remain in control and enjoy the drive to the fullest. The result is a human-centric and controllable driving experience that maximises the range of conditions where the driver can drive safely with complete peace of mind and enjoy intuitive, effortless interaction with the car.